Sooo... a little confession from me. Little Nerd is now ten months old, I’m starting to think about the logistics of organising a small party for his first birthday (“If I let him loose on a chocolate cake, will he not sleep for the next three days?” etc) I write a blog called House Nerd AND I haven’t finished my baby’s nursery. Mmmm. Yes, I am aware of the irony. 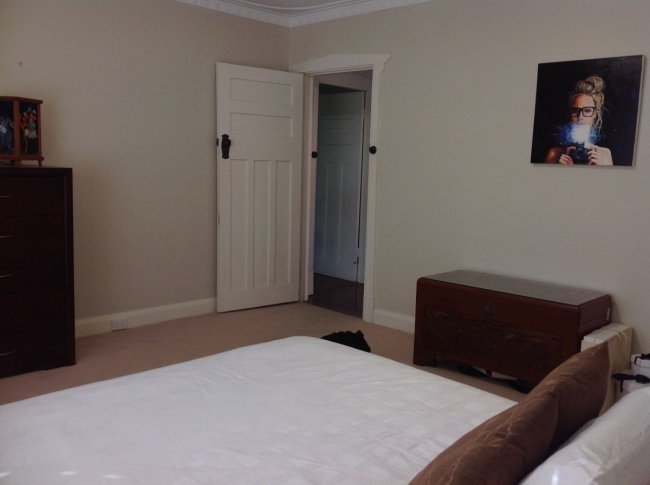 I am the blogger equivalent of the painter with the house that needs painting. 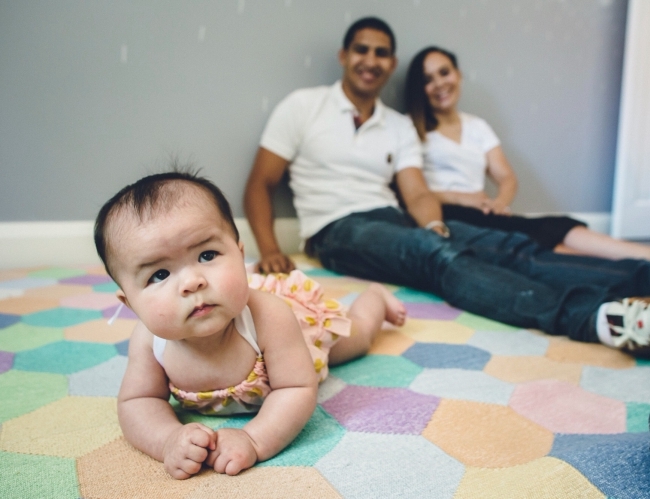 But I totally feel like I am a minority, because I know a LOT of new parents who have totally finished perfectly styling their baby’s room, and their baby is younger than mine – or not even born yet. 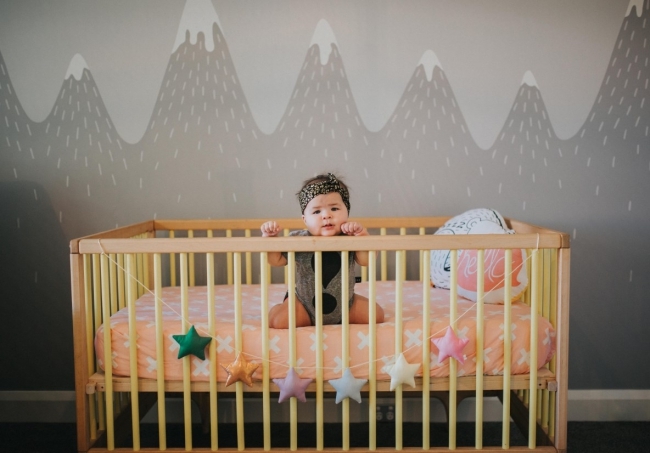 Recently I came across an incredible new mother who really puts me and my unfinished nursery to shame. 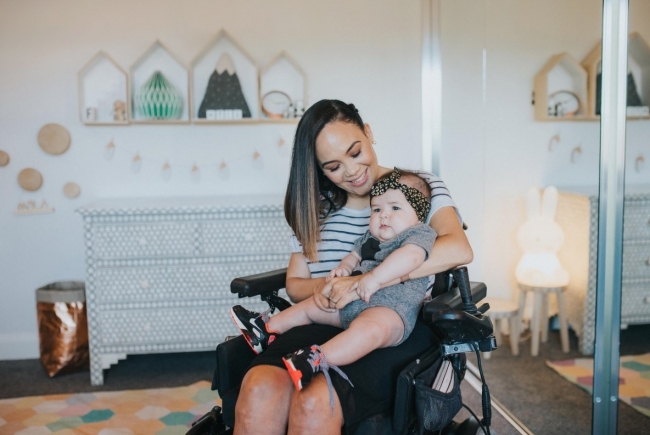 Not only did this mum design and renovate the whole nursery before her little girl was even born, she is a quadriplegic who is paralysed from the torso down and can’t use her fingers - yet she managed to design and coordinate the entire renovation from her wheelchair using her mobile phone! Jos Franciscus, Cord director and mum to cute baby Myla. Photography by Soul of Shu. 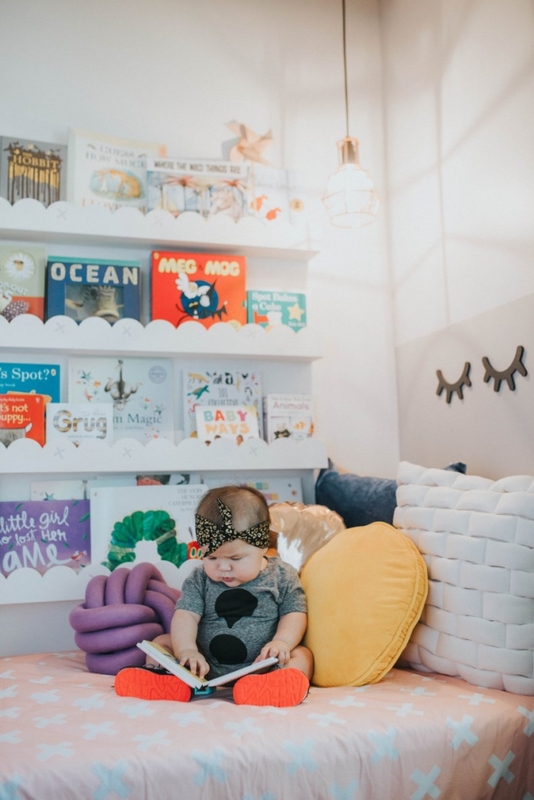 BOOK NOOK: Myla busy reading in one of my favourite features in her nursery, the book corner. 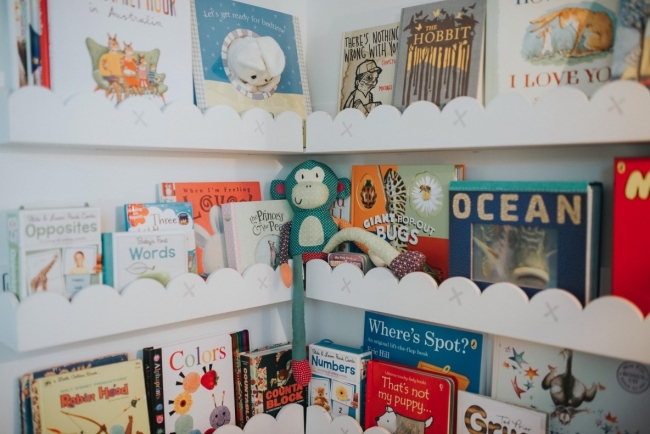 The custom-built cloud shelves were by Rainey Woodworks. The sleepy eyelashes were from Pretty in Pine. Photography by Soul of Shu. 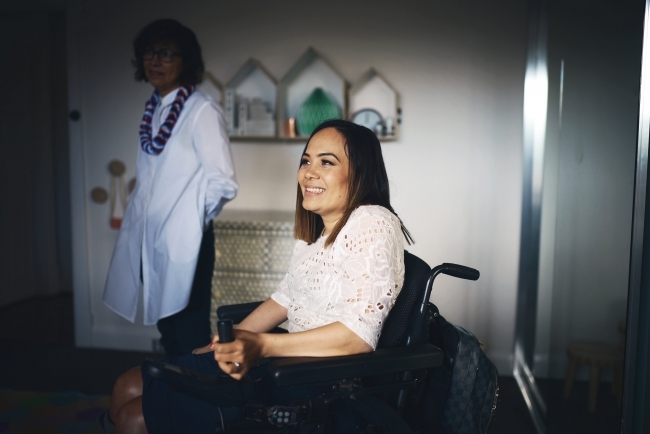 Her name is Jos Franciscus, and she is nothing short of inspiring. Some of you guys will already be familiar with her name or her work. 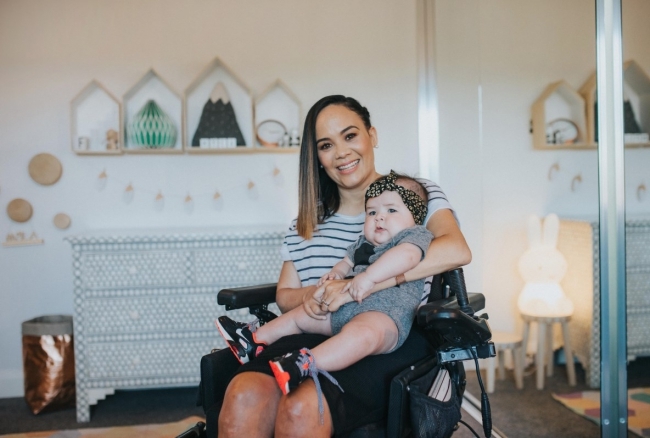 Jos is the director of Cord, a massive fundraiser that raises awareness and funds for spinal cord injury rehabilitation and technology by auctioning off the artwork of both emerging and established local and international artists. (Cord is coming up this year on Saturday May 28 at Perth City Farm and you can check out their Facebook page and get your ticket here. It's an awesome cause). 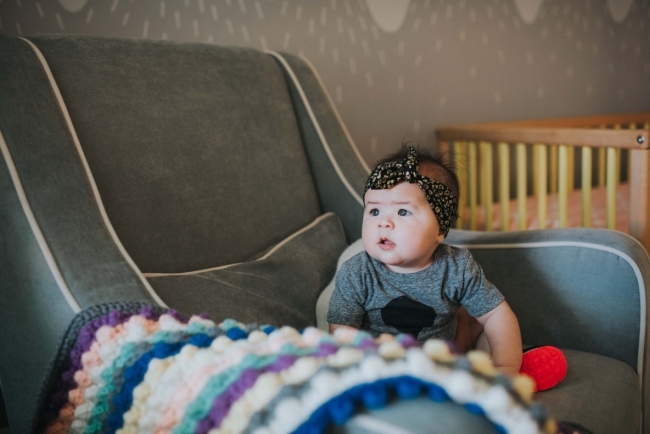 A SPECIAL GIFT: “My favourite item in the room wasn't anything I purchased, it was the blanket that our surrogate Beth hand crocheted for Myla,” says Jos. And just look at Myla! What a gorgeous face! Photography by Soul of Shu. Michael and Jos with a younger Myla. 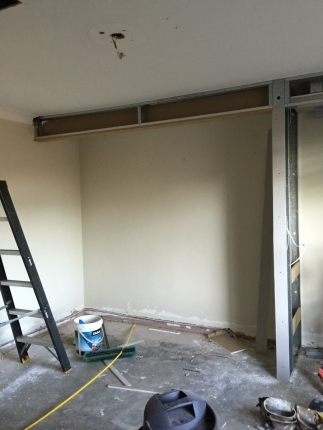 WORK IN PROGRESS: The new robe and Myla's reading nook (in future to be turned into a study corner) taking shape. 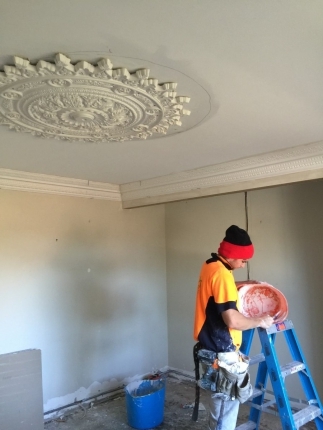 GREAT TRADIES: A ceiling rose was added to give the character feel Michael and Jos wanted the room to have. 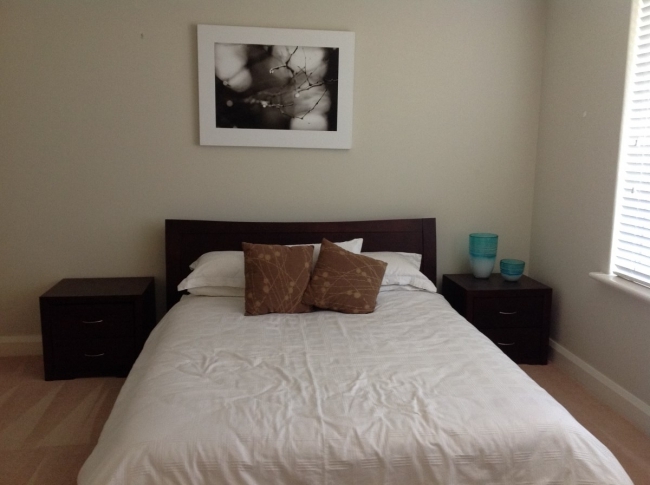 Jos says she had a great time doing the room with her tradespeople. 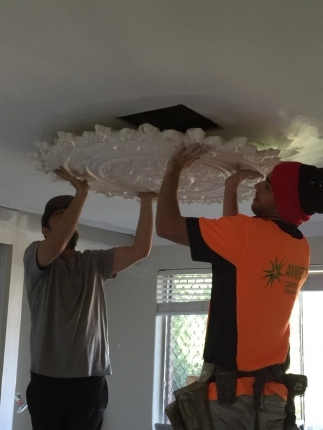 “I had a great working relationship with all of my tradies, in particular Lorraine from Rainey Woodworks who handcrafted the book nook cloud shelves, TS Building Co who painstakingly added the cornices and ceiling rose and of course Robert Jenkins who created the mural." 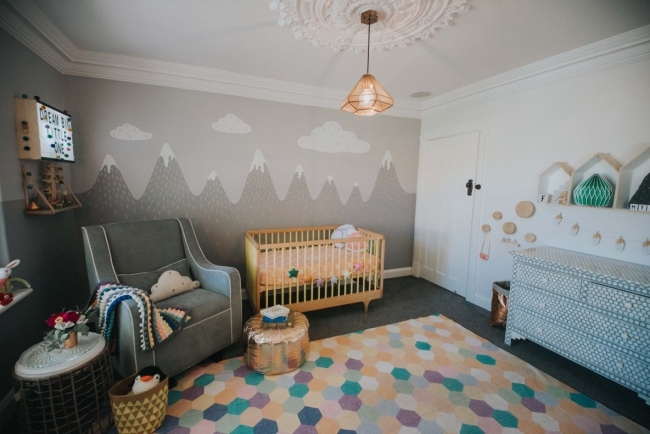 MOUNTAIN SCENE: Jos’ favourite part of the room is the beautiful mural. It is one of my favourite elements too. “My friend Robert Jenkins (The Blackmountains) is a really popular Perth street artist as well as a painter decorator,” says Jos. 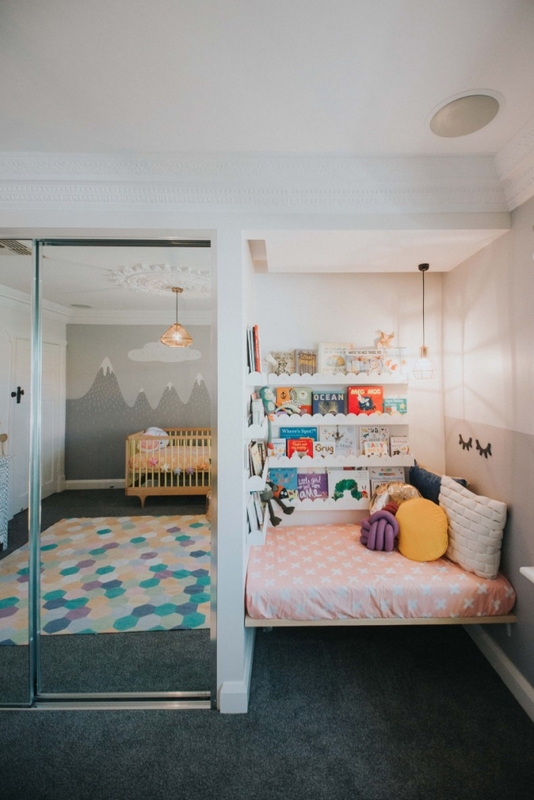 “He created the mural based on a general concept I had and created a beautiful backdrop for the room that I centered the design of the room around.” The cot was from Gumtree. 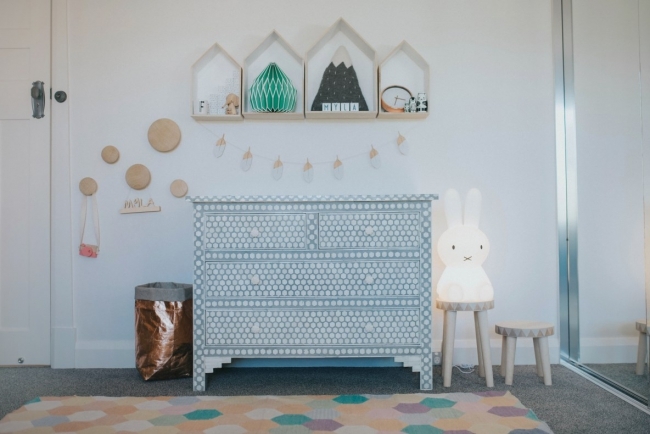 The star garland was by Essi & Co. Photography by Soul of Shu. 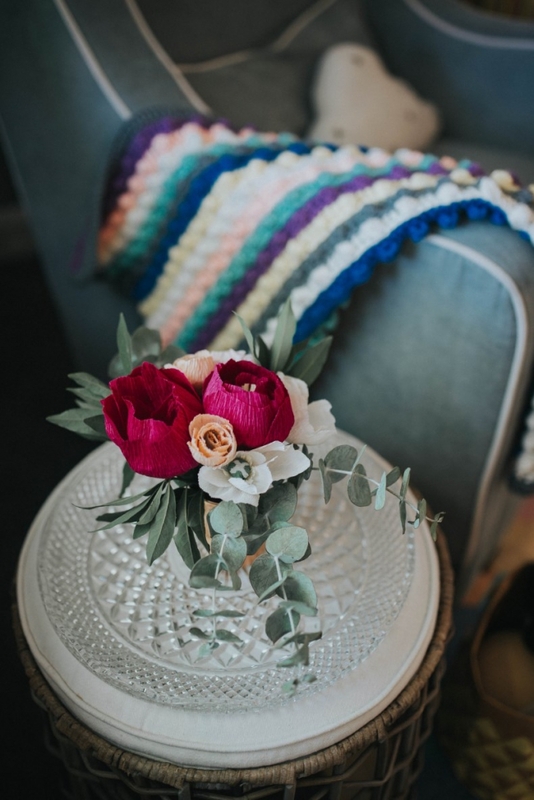 PAPER FLOWERS: My friend Jess Richardson of The Paper Posy created paper blooms that will last years, her life-like blooms are incredible,” says Jos. Photography Soul of Shu. 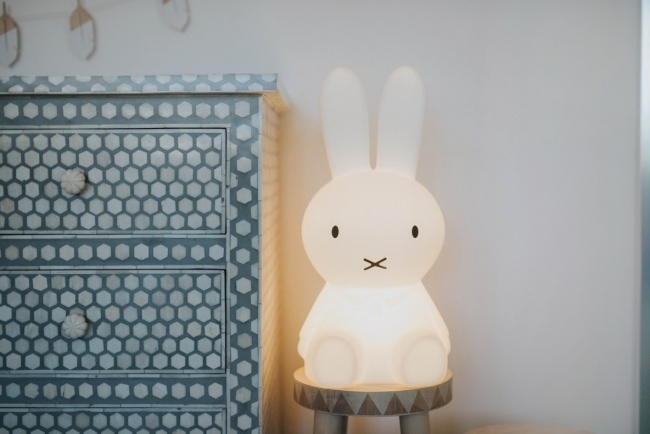 BUNNY LOVE: The Miffy Lamp was by Leo & Bella. 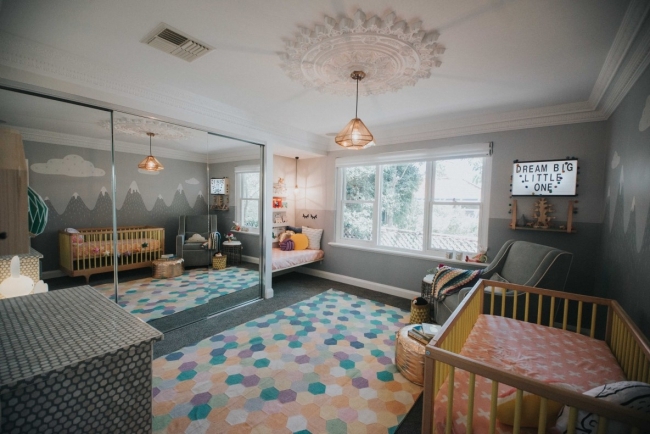 GENDER-NEUTRAL GREY: Jos chose the walls to be painted Solver July Sky and Opera Grey. SUPER COMFY: The nursing chair was by Bubkess. 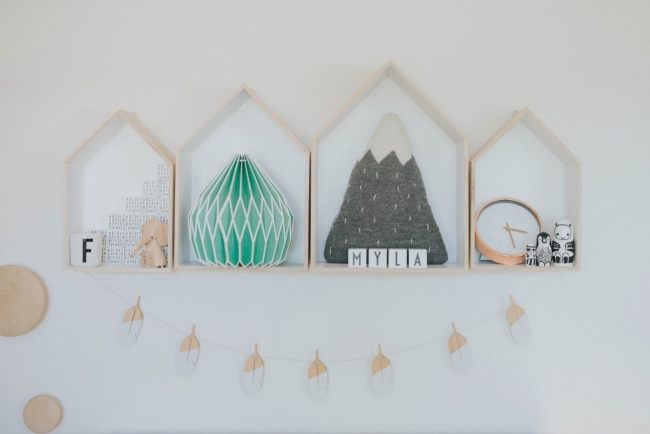 “My husband loves this item the most,” says Jos. 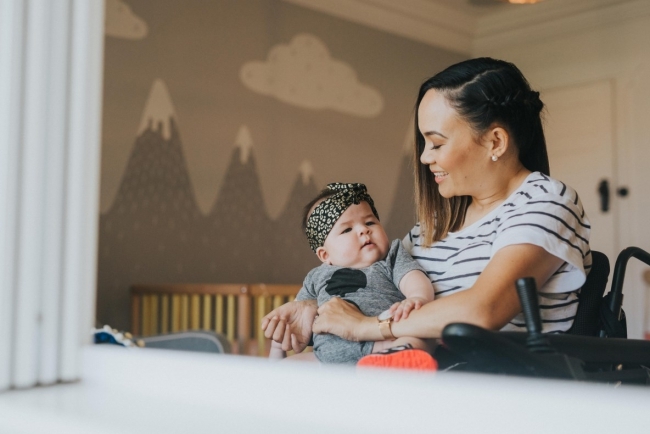 (I may not have finished my own nursery but I also think, even if you go budget with the rest of your nursery, if there’s one thing you splash out on make it a really good nursing chair!) 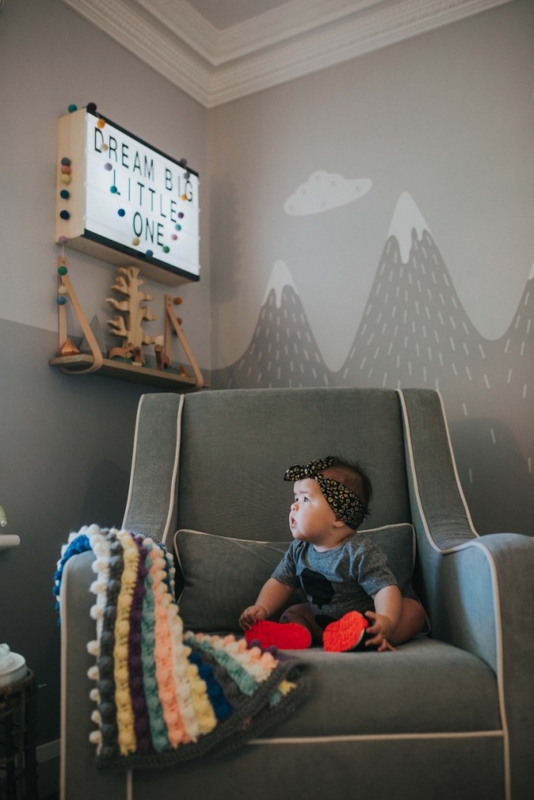 The chair in Myla’s room is a perfect fit for the style of the room. 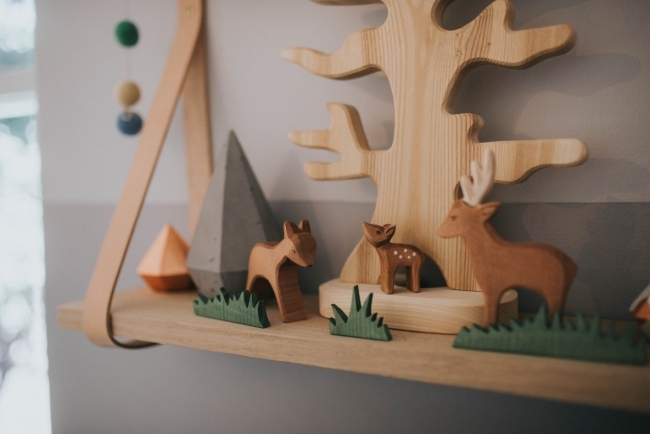 The leather strap wood shelf was by Interior Motives. Photography by Soul of Shu. Cord's art auction and live music fundraiser, 'Take a Seat', takes place this year on Saturday, May 28 2016 at Perth City Farm. You can like them on Facebook here or follow them on Instagram @cordfundraiser to see some of the awesome artworks that will be going to auction. Tickets can be purchased here. Like this story? 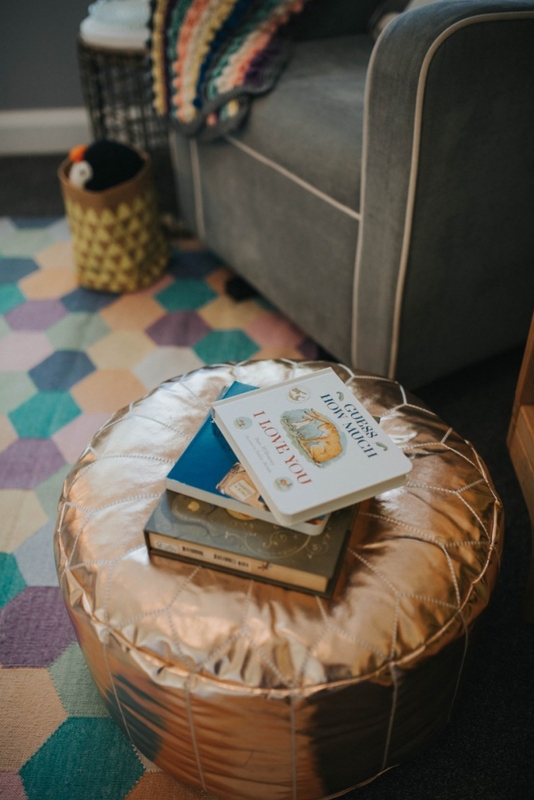 You can see other inspiring home renovations by following House Nerd on Facebook, Instagram @housenerd, Pinterest, Twitter @HouseNerd_ or Bloglovin. Wow, wow, wow!! 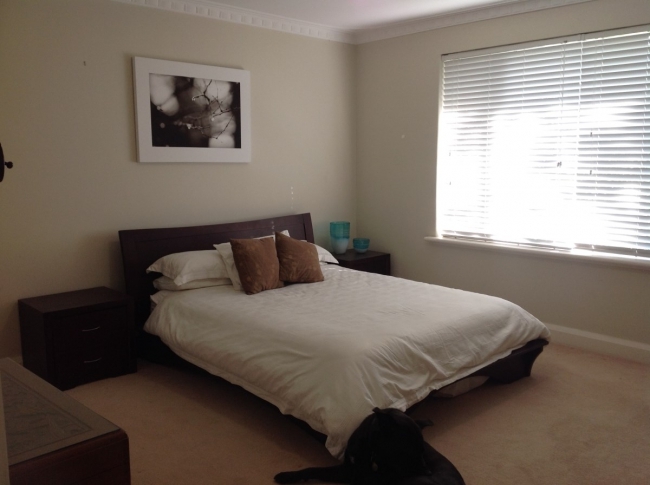 What a stunning room. I love every element of it. 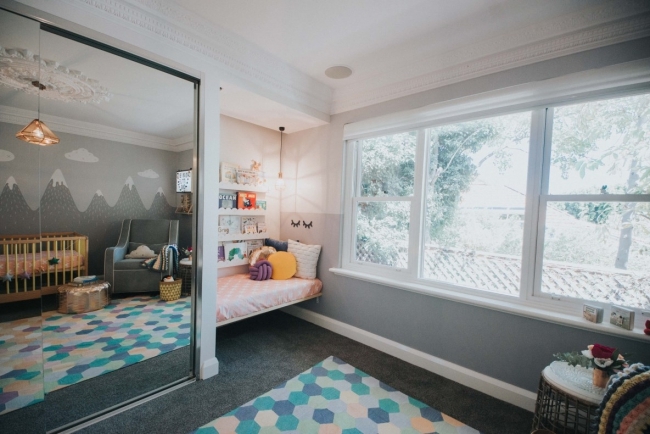 All of the details...and in particular the little reading corner. Beautiful! My boys are 6 and 8 and I still have never actually finished decorating their rooms. That is such an inspiring story. 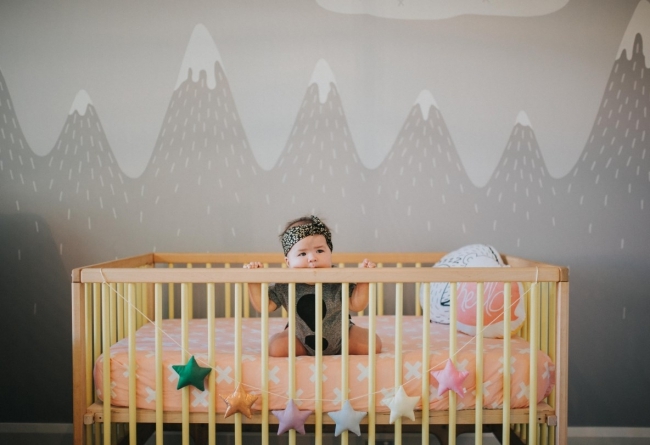 I usually don't read posts about nurseries but this one sucked me right in. Wow, I am totally speachless and at awe. 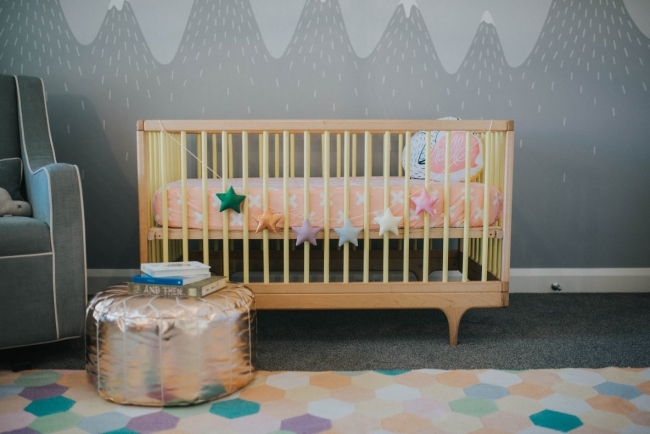 The nursery is beautiful, Myla is a cutie and hats off to Jos! The snow peaked mountains are great! (P.S. Maya, Junior now looks 100% like you [in the Insta pic with Nala a few days ago]). What a great story! 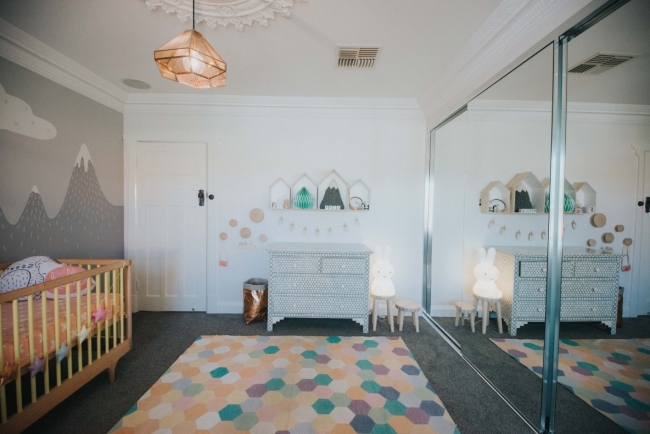 and such a gorgeous nursery - what a fabulous job Jos has done! 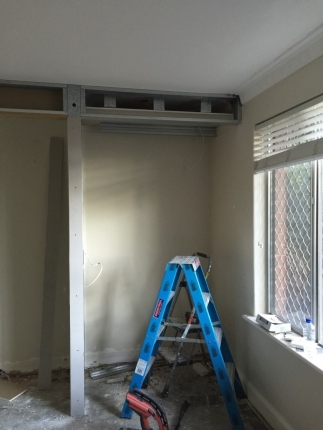 I was looking for a Perth reno blog and I think I have found it! looking forward to checking out more of your posts. Man, Jos is BOSS. This room looks like an absolute dream.